Mint has been used for thousands of years for its beneficial effects. ** Egyptian, Greek and Roman records indicate the use of mint for soothing relief. Peppermint is also used as a flavoring agent. Each serving contains 50mg of Oil of Peppermint in easy-to-swallow softgels. DIRECTIONS: For adults, take one (1) softgel after each meal with a glass of water, or as desired. Other Ingredients: Sunflower Seed Oil, Gelatin, Vegetable Glycerin, Food Glaze. Contains <2 of: Acetylated Monoglycerides, Polysorbate 80, Sodium Alginate, Potassium Sorbate (preservative). Oil of Peppermint 50mg is rated 5.0 out of 5 by 12. Rated 5 out of 5 by Japs from Great product I have used this for years and it always gives me relief. Rated 5 out of 5 by Shay from Excellent product This product works out really great! Rated 5 out of 5 by E from Excellent Very good products daily. Rated 5 out of 5 by Anonymous from Good product. Helpful for digestive issues. Rated 5 out of 5 by Cintheya from Works well I have stomach issues from time to time and this supplement really soothes. Rated 5 out of 5 by Anonymous from Great product! Seems to help keep digestion calm and regular. Bought this product and immediately bought some more a week later after realizing it's beneficial effects on my digestion. 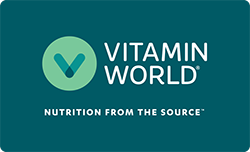 Rated 5 out of 5 by CeeSi from Excellent product I have been buying products from Vitamin World for over a decade. Their products and services are excellent.